Less than a year old, nearly $90k in backyard. 4 bedrm, Den & Loft. 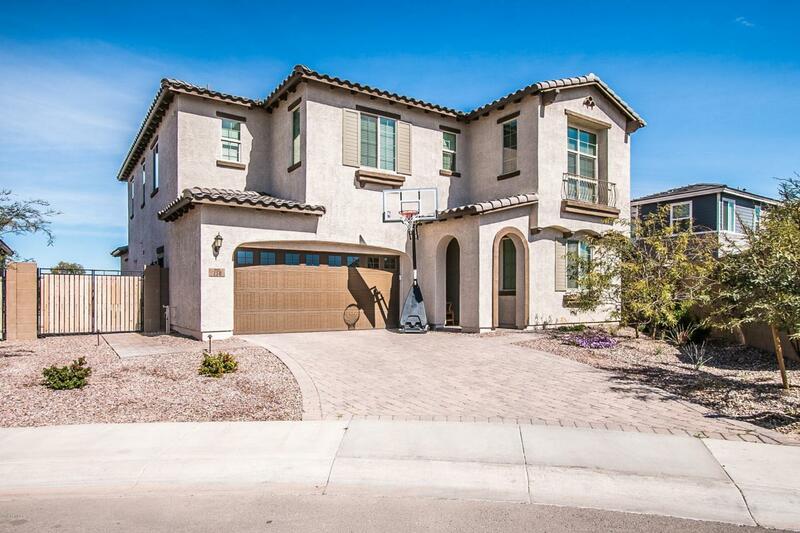 Amazingly upgraded home w/ gourmet kitchen, granite counter tops and stainless steel appliances. High-end bone white cabinetry w/ hazelnut glaze, staggered & crown modeling at the top. Nice sized island for entertainment. Walk-in pantry. Rolling wall of glass, floor to ceiling opens to beautiful backyard. Travertine pavers, pebble tec pool & spa w/ custom tile waterfall feature. Cozy gas built-in outdoor fireplace! One room is a Guest suite w/ walk-in closet & private bathroom. Spacious master, walk-in master shower, double sinks a massive walk-in closet. Laundry upstairs & plenty of cabinets. Wrought Iron stair rail, ceiling fans & window coverings installed. 3 Car Garage Tandem. Excellent gated location. Next to park! Listing courtesy of Re/Max Foothills.